Some businesses simply don’t make it. 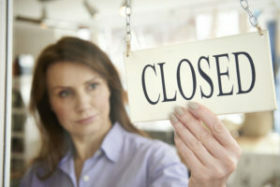 We have discussed reasons why small business owners may decide to dissolve a business. The procedures that a small business must follow differ depending on where you may have organized your company. In this post, we will summarize the procedures for dissolving your limited liability company (LLC) in various popular states for small businesses. 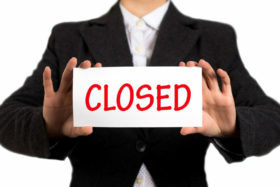 We focus on business dissolution of LLCs in DC, Virginia, Maryland, Delaware and California. At one time or another there will be an end to your business. When you started your business, you should have developed an exit strategy, but sometimes things don’t go as planned. The business may end happily in a merger or acquisition and sometimes less happily by dissolution or bankruptcy. Without clear guidelines at the outside, you will find that extricating yourself from your partners may be costly. A business divorce may have similar acrimony to a family divorce. In a family divorce, there is the combustible combination of kids and money. 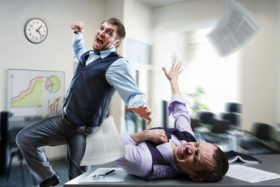 In a business divorce, the business partners undoubtedly will also argue about money—and will contend for control over their business, which for founders, can be like an extension of their families. The disputes among partners are not easy disputes. And business divorces like their family counterparts have numerous moving parts in various areas of the law such as business organizations, contracts, unfair trade practices, employment law and trade secrets. This article summarizes some of the considerations you should keep in mind when discussing with your small business lawyer what steps you and your partners should take to minimize the risk of a messy divorce with your partners down the line.